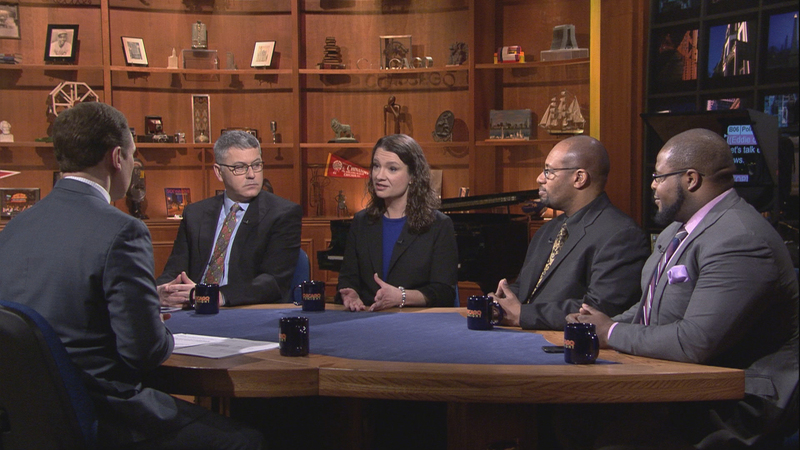 Ahead of the April 2 runoff election, mayoral candidates Lori Lightfoot and Toni Preckwinkle took swipes at each other during WTTW’s forum Thursday, but what – if any – specific solutions did the candidates offer regarding the city’s mounting debt and future pension payments? Ald. Willie Cochran pleads guilty to a federal charge of wire fraud for misusing campaign funds. Under state law, his conviction serves as a resignation from City Council. Boeing is under continued scrutiny after it was revealed safety features for its 737 Max jet, which was involved in two fatal crashes in less than five months, were classified as optional. The company is being investigated by the U.S. Department of Justice and the FBI. And in sports, the Blackhawks are barely hanging onto playoff hopes after a Thursday night loss to the Philadelphia Flyers. The conversation continues in our web-extra video. This week, Arruza and guests discuss the impact of a reported $10 million settlement between the NFL and former quarterback Colin Kaepernick and current Carolina Panthers player Eric Reid. The two accused NFL owners of colluding to blacklist them after the players’ much-publicized national anthem protests.